Yesterday I was in Michigan, surrounded by passionate educators, trying to make a change in the way they teach. I was lucky enough to give the keynote at Googlefest and after I was done speaking, my job was to listen. And so I did. With every inch of me I listened to their stories, tried to answer their questions, and soak in the knowledge that I was being given. What a gift it was. This is what happens to our students every single day. We ask them to give us their full attention. For them to be on high alert all day as they learn. Ask any student and they will tell you they mostly listen throughout the day, interjecting knowledge throughout, yet their brain is constantly processing. Constantly working to make sure they are fulfilling what we demand students do: pay attention, be ready, learn. And be ready to prove it to us, no slacking allowed, whenever we feel like calling on them. So today as I plan for the learning to come, I cannot help but think of how I need to make sure my students are moving. How I need to make sure they are talking and discussing. How I need to make sure we are doing something with the knowledge that we are working with, so they are not just paying attention, not just getting more information. And how I also need to be more understanding when they tell me they are tired. We ask so much of our students because so much was asked of us when we went to school, yet we forget how hard it can be to live up to our standards. 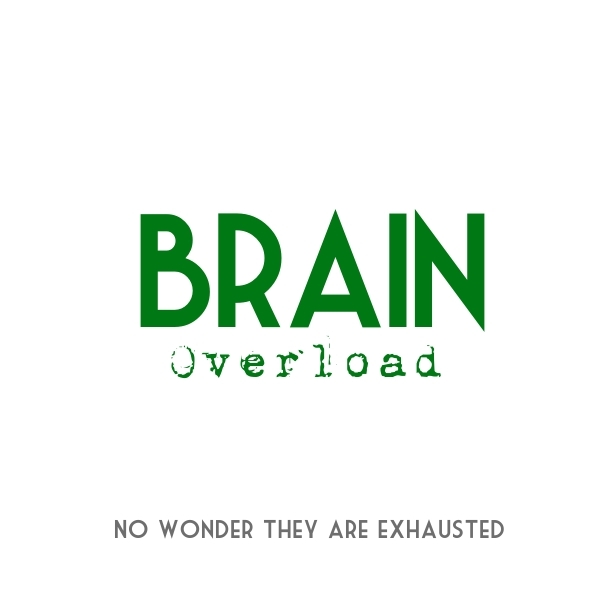 Do you have room for students brains to take a break? Do you plan for engagement and not just listening? Do you ask the students what they need so they are not exhausted by the end of the day? No wonder, students ask us to rethink homework, when all their brain is asking for is to take a break. I hope this is a lesson I don’t forget. It’s not just the students who need breaks in their learning and thinking. Us teachers also crave these short breaks to help us regroup and refresh our brains. Breaks in the form of a choice of different thinking routines to consolidate, reinforce and place new information gained and remould it to their own perspective and way of thinking . Breaks to share their new understandings – whole class, pair share, small groups or simply individually. Breaks where students are given the time to sketch or write about their their learning and thinking. and find a time out space for a brief time. Students appreciate this range of ‘break choices’ and do not take advantage. At times, we brainstorm the appropriate types of breaks we may choose depending on the learning. Totally true. I am in a new position now and each day I am facing situations and making decisions I have not faced or made before. It is invigorating but also incredibly exhausting. So important to realize what we are asking of our students and the physical emotional mental energy it all takes! Thank you for the reminder and also for sharing your own experience. Great reminder – I try to be very mindful of allowing thinking/processing/reflecting time for all members of my learning community! I keep thinking about the Finnish 45 mins of work followed by 15 of play…. Good point! People (of all ages) are more productive with mental/emotional downtime mixed in. I think sometimes we do forget what we are asking our students to do all day. As teachers we are all to aware that there isn’t enough time in the day to teach what needs to be taught, but we attempt to do it anyway. I try to schedule little “brain breaks” throughout our lessons. Time to turn and chat, get up and wiggle, visit the puzzle station, etc. Sometimes these brain breaks occur sooner or more frequently than planned as I see my students’ eyes start to glaze over. The trick is to make these breaks quick so that we can get back to the lesson. My students know that there will be another brain break sooner, if they get “back to business” quickly.